Level-III i.e. Scheme/ Structure for Post Graduate Teacher (PGT) and the same is annexed as Annexure-A. However, the changes regarding HTET Examination for Level-II i.e. 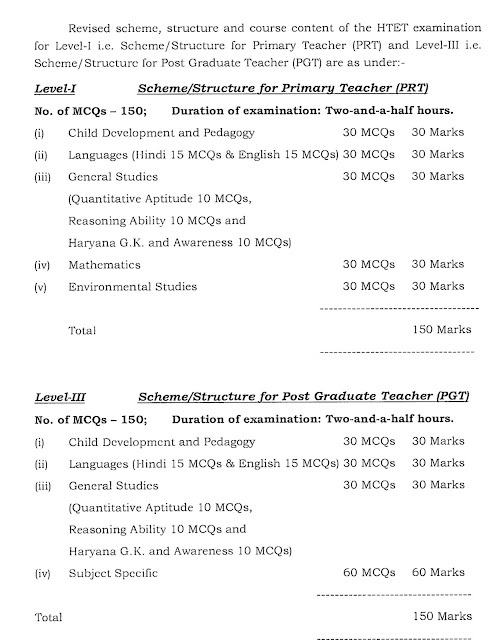 Scheme/ Structure for Trained Graduate Teacher (TGT) will be intimated in due course.